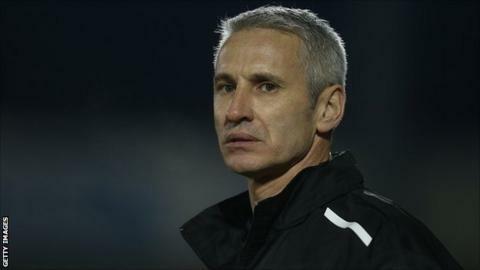 Carlisle United assistant boss Davie Irons says League One survival will be a "massive" task but has faith in the squad to steer the club to safety. Saturday's 6-1 defeat by Preston dropped United into the bottom four, level on 43 points with Notts County who have a superior goal difference. "We've still got a massive job to do," Irons told BBC Radio Cumbria. "It's strange to say it after today but we still firmly believe we're good enough to get out of the position." Irons added: "We have to regroup and stick together. We win as a team and lose as a team, no one individually is being blamed, all of us players, coaches, management were not good enough." United had shown signs of improvement with four clean sheets in their last five games, as well as a midweek win against Swindon. However the nature of the Preston defeat, coupled with the score-line, has raised the pressure at United, whose eight-season stay in the third tier is under threat following their second-half collapse at Deepdale. "It's concerning. It's a major disappointment and our goal difference is severely affected as well," Irons continued. "[We won't] start pulling bits apart from the group or peeling people away and criticising individuals. "We'll analyse what we didn't do right, preparation, training, and we'll come up with the answers."